Have you ever heard of the Garmin nuvi 2595lmt? If you often travel and drive a lot, then this is a tool that could help you in your journey. This latest Garmin product is actually a mid-range sat nav equipped with awesome navigation features; thus, becoming one of your most adept co-pilots on the road. The Nuvi 2595lmt belongs to an advanced sat nav series from Garmin. This car sat nav should make you go wow with its big 5-inch touch display, along with its free lifetime maps, 3D traffic info alerts, exceptional Cyclops speed cameras, as well as an enhanced voice control system. These are only some of its features and there is a lot more! If you purchase the full box set, enclosed would be the following: the nuvi 2595lmt sat nav itself, a preloaded city navigator NT street maps for Europe, a vehicle suction cup mount, a lifetime traffic receiver, a vehicle power cable, a USB cable, and of course, the quick start manual. So what’s actually good about this product? This review would now tackle its amazing features including its technical details. 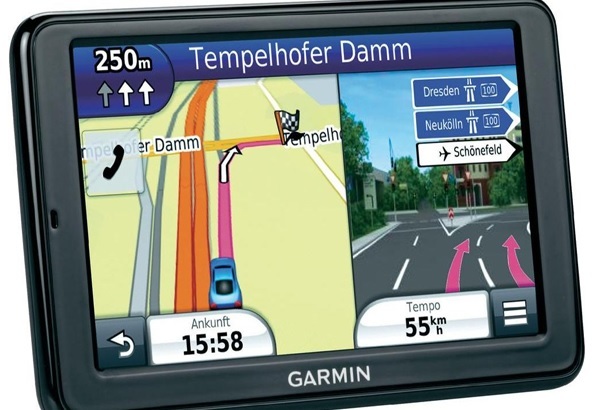 This latest Garmin product is remarkably packed with advanced navigation features. First of all, this nuvi is powered by Guidance 2, an advanced navigation engine that provides every user a swifter and a more intuitive interface. Want to find accurate routes? The inclusion of Guidance 2 system would never fail you. It is also capable of suggesting you an alternative route in case of traffic tie-ups. With your Garmin receiver, you could also get the latest updates on maps for free up to four times a year. And to make you feel safer during your drive, the 2595LMT is built with active voice navigation. With just a voice command, you could have a touch-free navigation. You could also synchronize it with your smartphone for a hands-free calling. Make and receive calls via Bluetooth. No need to look. Just speak, and focus on your driving. Garmin nuvi 2595lmt has another great feature- Photo Real Junction View. This one helps you avoid taking tricky routes and exit lanes by showing a bi half-screen image of the junction and pointing the direction you must take. Another amazing feature of this product is the Cyclops speed camera that could provide you over speed warnings and speed limit information. This gps also has an eco feature – it can choose the most economical route to reach your destination. With the help of this tool, you could save more fuel and money since it helps you find the most efficient route, calculating the cost of your journey. And lastly, it comes with a Park Position Recall feature to help you find where you’ve parked your car. For those who purchased it, there are several happy owners who had given a positive feedback about this sat nav. Most of the product owners have said that this newest version of nuvi is the greatest because of its near instant re-routing which could impressively recalculate a new route within just two seconds. They are also happy with the voice command prompt feature making them have a safer ride. All in all, the nuvi is a great tool to aid you in your driving directions. Just mentioning its features clearly shows that this product is for everyone, especially for those who like to travel and drive. If you have a life on the road, this is for you, too. If you want to spot a new location such as restaurants, hotels, and airports, nuvi would do all the hard work for you. To break the monotonous destination of your drive, nuvi would open new places that would surely amaze you. In this Garmin nuvi 2595lmt review, the advantages of the product are several. First, is its great 5-inch display. It is not too big or too small, just right. Its hands-free voice command system is also a big plus, which makes your driving safer and more convenient. Also, another plus for this product is its lifetime map and traffic updates. Even if there are several years to come, your PND will always be up to date. Searching for new destinations and its navigation interface are also faster and more accurate. You could also have a free TMC premium traffic unlike other sat vats which always charge you for every update and service. Though the Garmin nuvi 2595lmt has a lot of fantastic features, it also has some cons, but only minor ones. From what we have noticed, the Bluetooth connection is not able to sync with a smartphone’s address book. Also, its live traffic updates are filled with annoying ads. While you drive, there will be some ads popping up. And lastly, the voice prompts sound a little unnatural, more of a robotic type.